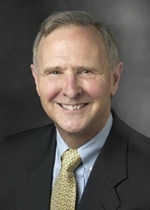 Bio: Eric Hanushek is the Paul and Jean Hanna Senior Fellow at the Hoover Institution, Stanford University and a member of the Institution’s Koret Task Force on K–12 education. He is best known for introducing rigorous economic analysis into educational policy deliberations. He has produced some fifteen books and over 200 scholarly articles. He is chairman of the Executive Committee for the Texas Schools Project at the University of Texas at Dallas, a research associate of the National Bureau of Economic Research, and a member of the Koret Task Force on K-12 education. He formerly served as chair of the Board of Directors of the National Board for Education Sciences. His newest book, Schoolhouses, Courthouses, and Statehouses: Solving the Funding-Achievement Puzzle in America’s Public Schools, describes how improved school finance policies can be used to meet our achievement goals. Episode Summary: Professor Eric Hanushek of Stanford University talks about the economics of education, discussing issues including the returns to quality teaching, the effectiveness of incentive-based pay for teaching, and how to close the educational achievement gap in the United States.